Netflix's Stranger Things has become an instant pop culture phenomenon. 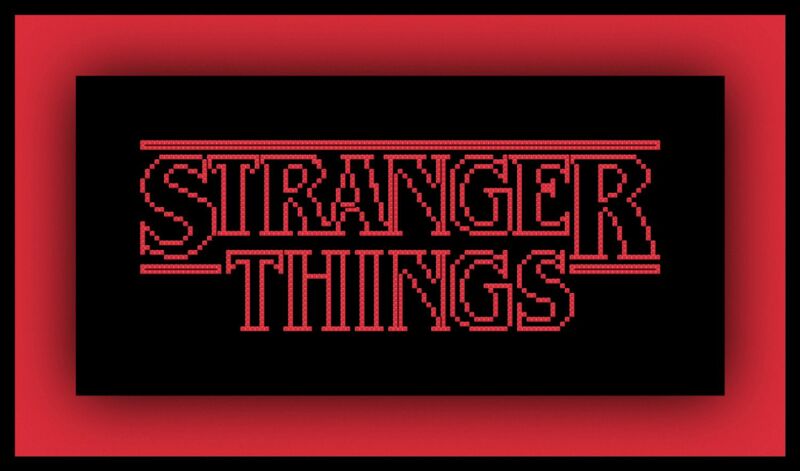 Whether you are a fan of the kids, Joyce or the Demogorgon; there is a cross stitch project (and an Eggo sandwich) just for you. As soon as the opening credits begin, you know that you are in for an adventure. The opening is just as iconic as the entire show. The font has taken on a life of its own, spawning cross stitch patterns and other fan art from around the internet. Cross Stitch Quest has created a free pattern of the opening credits. This is a must have project for any Stranger Things fan. There are few rules of the party. The most important is: Friends Don't Lie. This rule was tested throughout all of season two, but in the end, friendship prevailed. This pattern by Plastic Little Covers is a wonderful project to remind your best friend that you are there for them and that you have a special bond. Each character in Stranger Things plays an important role. They all work together. They are all pieces of a puzzle that make up a bigger picture. Space Nonas Stitchery created these portrait "selfie" cross stitch patterns for each character. They would make great patches for jackets or brooches. You can also stitch them as one big piece for a large sampler. What is your favorite part of the Stranger Things series? Is it the party of boys? The Demogorgon? What about the light alphabet? No matter what or who you are crazy about, you can celebrate them all in Cloud Factory's Stranger Things Sampler. Barb was only with us for a short time, but she is still a powerful force in season two. We loved her no-nonsense strong attitude. She didn't care what people thought of her. She was smart, sassy and pretty stylish for the 80's. We all hoped that she would go on to bigger things. Luckily in season two, her death was avenged and we felt some closure. 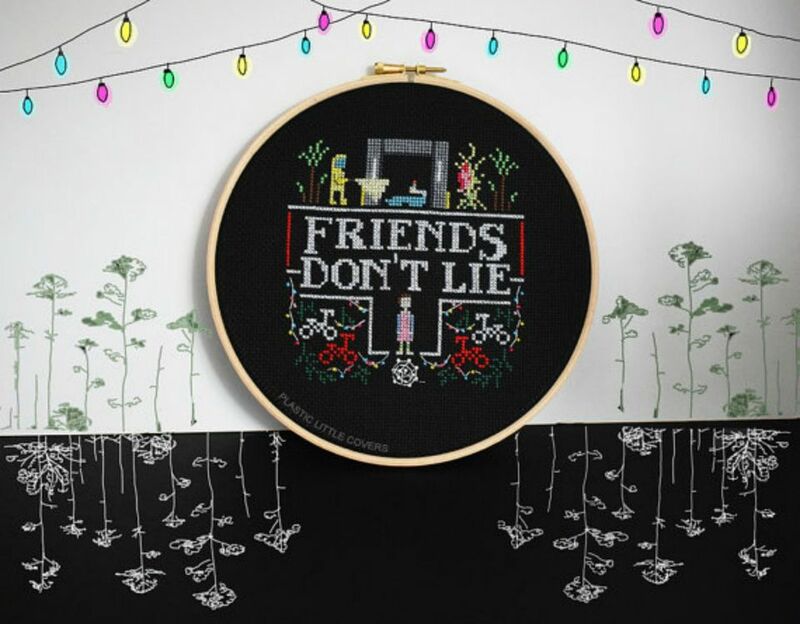 Stitch It With Sass shares their love for Barb with this amazing red-on-black sampler. (Spoiler Alert!) Let's hope they create a sampler for Bob, too.